Blue Door Language School (in Cordoba City) needs TWO teachers for the 2019-2020 academic year. 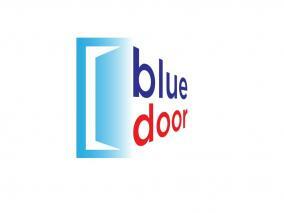 Blue Door is a private language school located in the southern Spanish city of Cordoba. It is a member of ACEIA, the Association of Private Language Schools in Andalusia, and of FECEI, the National Federation of Private Language Schools in Spain. Blue Door has been in operation since 1999 and now has two premises, both of which are located in a residential area of the city centre. Refurbished to offer the highest standards, the schools boast a total of twelve classrooms as well as study facilities, administration departments and staff rooms. Teachers have access to many resources, including books, flash cards, realia, DVD libraries and wifi. In the staff rooms, all teachers have their own desks with ample space for books, stationery and other material. There is also a mini-kitchen in each staff room. Full-time teachers have their own classrooms and all classrooms are decorated attractively. Each classroom has its own computer, projector, whiteboard, noticeboard and audio equipment. With a maximum of six students in each group, Blue Door classes are small and personal. Students usually come for two hours a week. A full timetable usually consists of 12 groups with a total of 24 contact hours. Levels range from absolute beginners to advanced levels and we have students of all ages from as young as 4. The vast majority of our students, however, are older children or young adults. Many of them take the Cambridge and Trinity exams. Classes are normally held on the school premises but are occasionally given elsewhere. Blue Door is a professional organization and expects high standards of teaching and commitment from its teachers. Teachers have a real desire for professional development and, to this end, a comprehensive Continuous Professional Development (CPD) Programme (including pre-course induction and on-going in-house and external training) is provided. As part of the Blue Door Continuous Professional Development Programme, teachers attend weekly workshops or meetings. These are given by colleagues or guest speakers from other professional organizations. Similarly, teachers participate in the Peer Observation Programme (POP) and the Director of Studies and Head Teachers are on hand to provide support and advice throughout the year, as well as observe classes and offer feedback. The school also covers the costs of external TEFL seminars or conferences teachers attend (subject to approval). Similarly, any teacher interested in doing a relevant course (such as Trinity DipTESOL, TYLEC, etc.) can apply for subsidies of up to 30% of the cost of tuition. All teachers are encouraged (but not obliged) to give workshops as part of the in-house training programme. Similarly, many Blue Door teachers participate in the ACEIA Guest Speaker Scheme and give workshops at other language centres throughout Andalusia. Indeed, some teachers have gone on to speak at the ACEIA annual conference in Seville, the FECEI Congress in Madrid and the Spainwise events in Cordoba and Bilbao. Relevant experience and ‘reasonable’ Spanish are definite advantages. We offer a competitive package with salary above national pay agreements as well as full national health and social security cover. Each teacher is also covered by a private health insurance scheme. Contracts are from the mid September to mid June. A full-time contract consists of 34 hours a week, of which 24 are contact (teaching) hours. The remaining contract hours are dedicated to class preparation, exam correction, report writing, participation in the CPD programme, meeting parents, etc. There are two weeks’ paid holiday at Christmas and a week at Easter, as well as all local and national holidays. Long term teachers are eligible for permanent positions (with twelve month contracts and an extra month’s paid holiday in summer). Visit us at stand at the Spainwise TEFL Jobs Fair in Cordoba on Saturday 12th May or download and complete our application form and e-mail it with a recent colour photo to recruitment@bluedoorspain.com. EFL Teacher Next Academic Year (2019/2020) Great Opportunity in Andalusia for 2019/20.